Let's face it - a Boston map can be your best friend as you try to find your way around the city's narrow, winding streets. Some streets change names every block or two, while others suddenly dead-end. Street signs can be scarce - Yankee frugality? - especially on major roads. Yet alleys seem to not only have names, but also signs. And then there are streets with seemingly identical names, except for "Court" or "Lane" or "Terrace" at the end - usually abbreviated in some cryptic way. Even GPS fails - or leads you down the wrong path. Or to a street with the name you request - but in Cambridge instead of Boston, which of course you don't realize until after you've spent an hour in rush hour traffic trying to reach the wrong destination. Fortunately, you can easily get excellent maps of Boston for free. 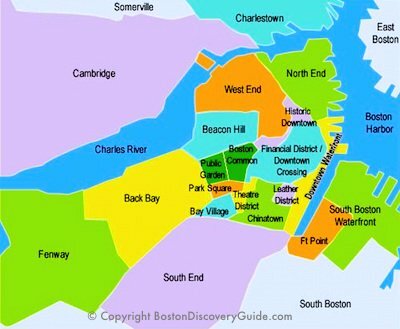 This article tells you where to get the best free Boston maps for sightseeing in Boston and creating your own walking tours. The National Park Service's map of the Freedom Trail and Black Heritage Trail walking routes gets BDG's vote as the best map of central Boston for tourists and other visitors. Not only do you get a clear view of Boston's two most famous walking trails, but you can also easily see the clearly labeled top attractions, neighborhoods, T stops, and all but the smallest streets, lanes, courtyards, and alleys. Or, pick up a free copy in person at the Boston Common Visitor Information Center (147 Tremont Street, across from West Street intersection). To get the free NPS map, you have to go up to the counter at the Visitor Center and ask for the "free Freedom Trail map." The maps in the display racks are not free. 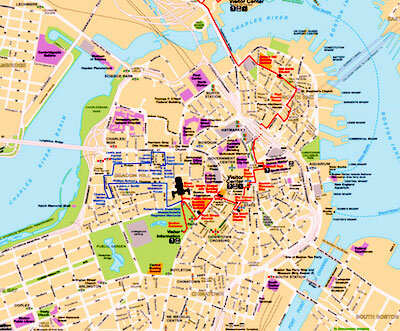 Our leading trolley tour companies produce their own Boston city maps, although they focus just on the area covered by the trolley tours - but that's still a fairly large swath of the city. The Old Town Trolley map includes a small map of Boston's subway system, while the Beantown Trolley map size is smaller and somewhat more convenient to use. They're free - so get them both and decide when one you like best. You can almost always find these free maps in city hotel lobbies - just ask the concierge - and you'll also be given one if you go on a trolley tour. 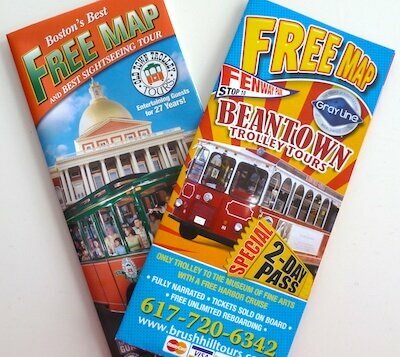 Several Boston travel guidebooks include bonus pull-out maps, free when you buy the book. 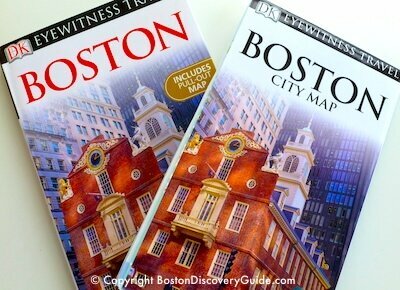 Most are excellent - but if I had to pick just one, I'd go with DK Eyewitness Travel Guide: Boston. The full-size pull-out map printed on glossy high-quality paper provides an index to main attractions and plenty of detail, including named subway stations; a subway map showing all the different lines is printed on the reverse side. Inside the front cover, you'll find a high-level neighborhood map. Even more useful is transportation map inside the back cover. In addition to providing labeled T (ie, subway) stations, it gives a slightly different, more detailed view of neighborhoods - although inexplicably, it omits labels for the North End and West End, and the large area allocated to Chinatown would surprise most Bostonians. Within the book, you get lots of added value - over 500 more detailed maps of neighborhoods, parks, famous buildings. This guidebook does an excellent job of orienting you to the city, and is highly recommended by other travelers. Another good alternative, if you're looking for a guidebook-pullout map combo, is Frommer's Boston Day by Day. Its pullout map does not show quite as much detail as the Eyewitness map, but you'll find numerous detailed maps throughout this compact, easy-to-carry book. To quickly see locations for Boston neighborhoods, consult BDG's sightseeing map. Although some neighborhood boundaries may always be slightly fuzzy, this map shows all major areas with a reasonable degree of accuracy. Admittedly, Boston is so compact that you may be wondering why neighborhood location even matters? 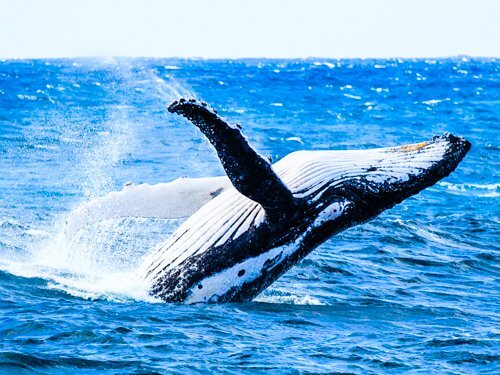 However, Boston Locals tend to give directions by referring to Beacon Hill, the North End, and other neighborhoods - so knowing generally where they're located gives you an advantage when choosing a hotel, planning your itinerary, and finding your way around. 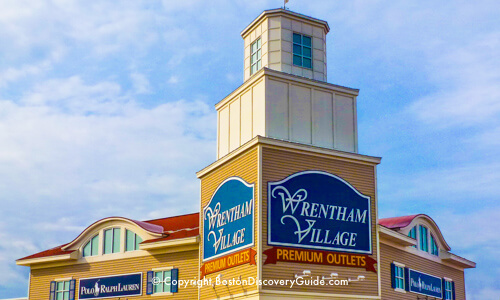 To give you a sense of scale, walking distance from Fenway Park to the North End is just over 2 miles - theoretically easy to cover on foot in 30-40 minutes, although the number of interesting distractions along the way may slow you down. Nothing beats the Boston Streetwise map for detail, convenience, durability, and accuracy. Although this map costs several dollars, it's money well-spent - the heavy laminated finish means your map won't fall apart, even after you use it to cover your head during an unexpected rainstorm. It also wipes clean, so you can use a felt-tip marker to circle locations on it. You can even use it as a make-shift plate if you're eating street food. 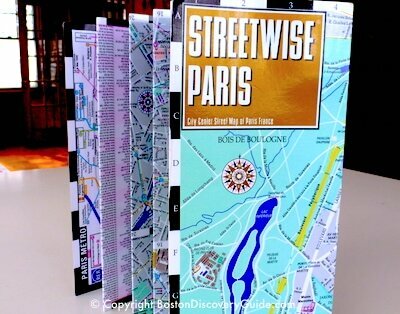 I've loaned my own Boston Streetwise Map to a friend, which is why you see my Paris map in the photo. As you can see, the accordian-folded style keeps it compact for carrying and also for using - you can open it up to just the section you need, rather than unfolding a large map that screams "Tourist!" to everyone passing by. Even after rigorous use and abuse during a number of trips, my Paris map shows only the slightest wear along the edge. Boston Harbor Islands - Only 15 minutes away by ferry, you'll find a different world - plus beaches! 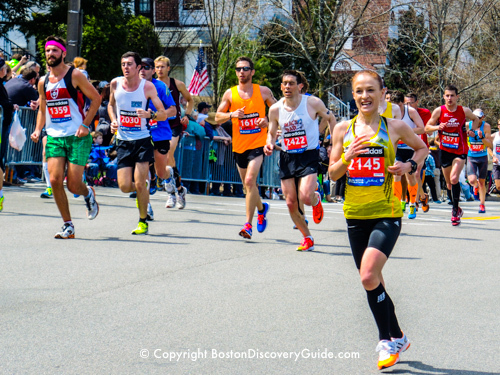 Boston Guide Books - Which one will be your favorite Boston travel guide? Driving in Boston - Thinking about bringing your car? Read this article first!